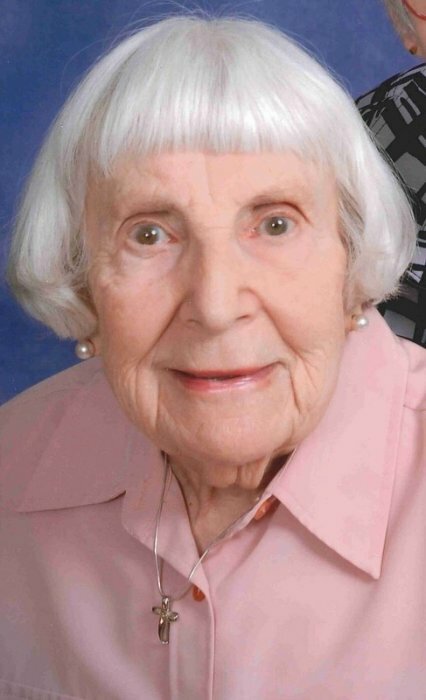 Olivia K. Kennedy, age 94, of St. Paul, formerly of Wabasha, died Saturday, January 12, 2019 at the home of her daughter, Lisa. She had been living with her daughter, Mary, the past ten years and just recently moved to Lisa’s home to receive hospice care. Olivia was born in Wabasha, the daughter of Theodore and Emma (Koelmel) Stegner. She married Harry Kennedy April 6, 1946 in Wabasha. Olivia was a homemaker and she also was a nanny for the Glenn and Annette Huntoon, the Art and Vivian LaRocque and the Bob and DeLores Nelson families. Harry owned and operated Kennedy Auto Body and later worked in Des Moines for the U. S. Army Reserve teaching how to maintain their equipment. Harry died of cancer in 1972. After his death she did a commendable job raising her young family alone. She was one of the original members of Our Redeemer Lutheran Church in Wabasha where she was in its first confirmation class. After moving to St. Paul she joined Divinity Lutheran Church. She enjoyed playing cards and she was an avid Minnesota Vikings and Minnesota Twins fan. She took pride in raising and caring for her family and keeping her home clean and tidy. Olivia is survived by her children, John (Janet) Kennedy, Appleton, WI, Mary Bachmann, St. Paul, MN, Paul Kennedy, St. Charles, MO, Todd (Linka) Kennedy, Lake City, MN, Patti Kennedy, Zumbrota, MN, Polly (Tim) Baneck, Marinette, WI, Lisa Peters, Landfall, MN; 20 grandchildren; 14 great-grandchildren; several nieces and nephews. She was preceded in death by her husband, Harry, her parents, and several brothers and sisters. A funeral service will be held on Friday, January 18, 2019 at 11:00am at Our Redeemer Lutheran Church in Wabasha with Pastor John Berg officiating. Interment will follow at Riverview Cemetery in Wabasha. Casket bearers will be her grandsons. Family and friends may call at the church on Friday from 9-11am. Memorials are preferred to Our Redeemer Lutheran Church, 605 12th St. E., Wabasha, MN 55981.